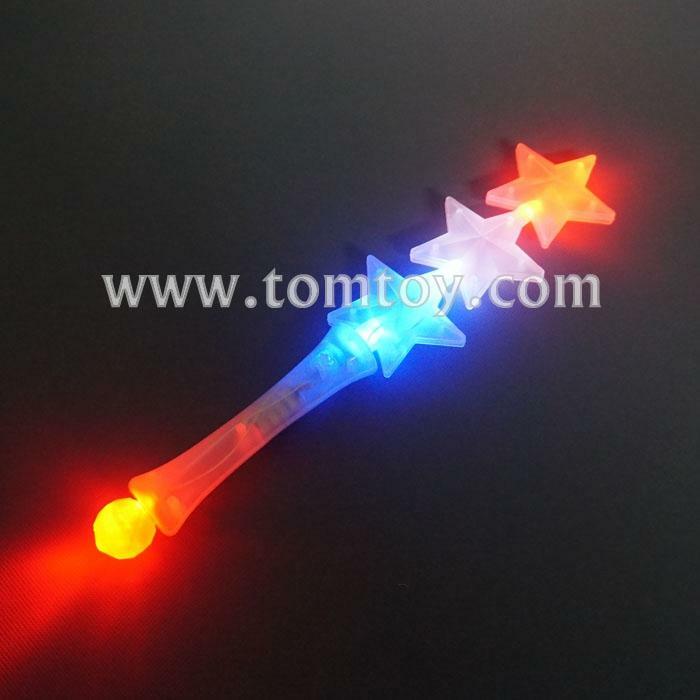 4.Awaken your patriotic side and light up the wand consisting of 3 stars that flash with multicolor LED. 5.Switch button function. Batteries are included and installed.